I know I had a great time teaching my class how to make & decorate bowls Tuesday night. as I saw THIS show up on my Instagram Stories feed. Thanks Jen!!! 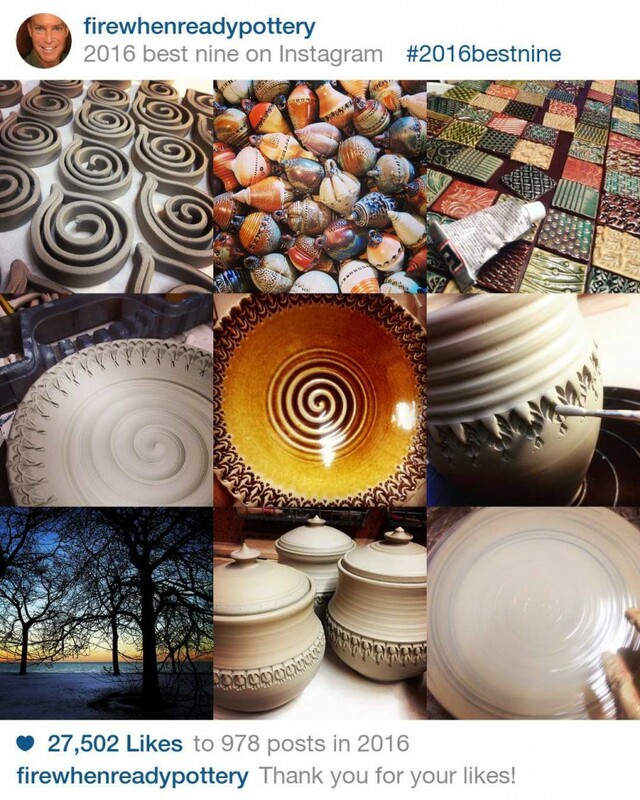 Okay, so I may be a little late to the game..
but here’s my INSTAGRAM BEST NINE posts for 2018.
find me at “firewhenreadypottery”… tough to remember, right?! Very similar to my Facebook posts, just quicker, cropped, filtered and quirky! And the blog posts are always “real photos” and longer stories! THANK YOU to those of you who have already been following on Instagram. as well as my favorite Christmas gift to myself from Airtight Artwork!!! It was a great year for me… hope yours was too! Just a quick reminder that you can always follow me on INSTAGRAM too! We just passed the 1,500 followers mark – THANKS!!! and perhaps a “few” sunrises along the way! Click here for my INSTAGRAM feed… then click FOLLOW. You can also check out my Facebook page for the “real” photos and short stories. Click here for my Facebook Page… Fire When Ready Pottery. and several years worth of pottery fun to dig back into! Search through some categories and get ready to “lose” a few hours of your day! 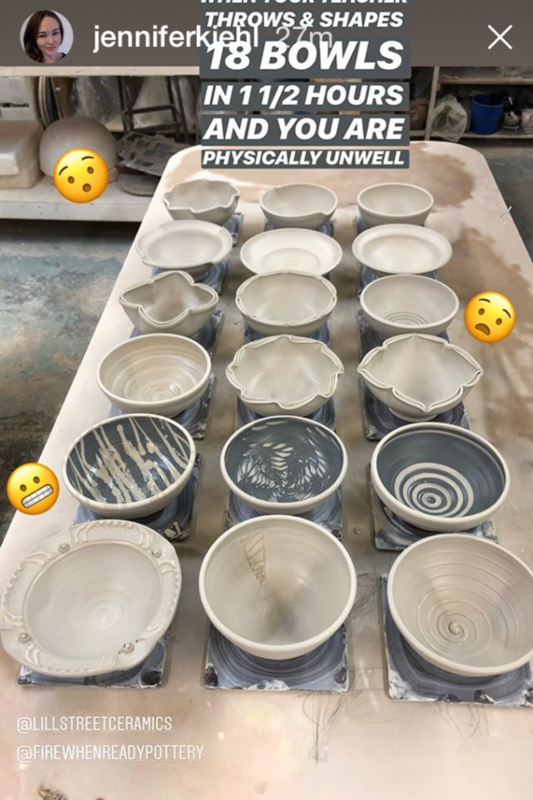 it’s a great chance to reflect on some of our pottery fun from INSTAGRAM. My 2017 goal was to double my Instagram Posts & Likes from 2016. I fell just a smidge short of the doubled-posts goal, but nearly tripled my Likes… WHOO-HOO!!! but there’s even more visual fun on INSTAGRAM too!!! We just passed One Thousand Followers on INSTAGRAM!!! Don’t forget, quick eye-candy right to your Instagram Feed if you decide to join in on the fun! 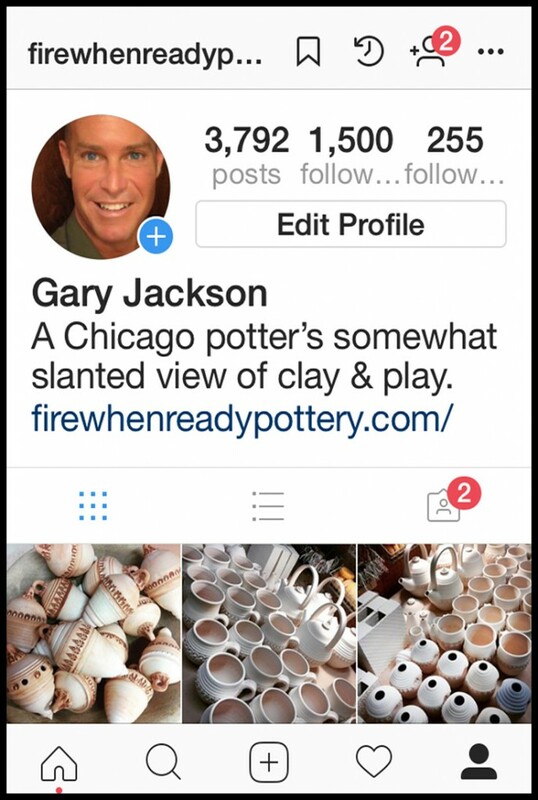 Just search #firewhenreadypottery on Instagram… and then click Follow!!! Here’s to the next thousand…. and huge thanks to those first thousand for playing along!!! So excited to once again make the list!!! After three years in the Number One position, I fell slightly to Number Two this year. Still not too shabby considering I squeezed in a lot of fun this past summer… art fairs, summer camps, triathlons, sunrises and a full IRONMAN… and still came in at Number Two!!! Yeah me!!! Thanks to POTTERY MAKING INFO for following the clay blogs all year long. And for sharing our stories to a wider audience on a monthly basis. 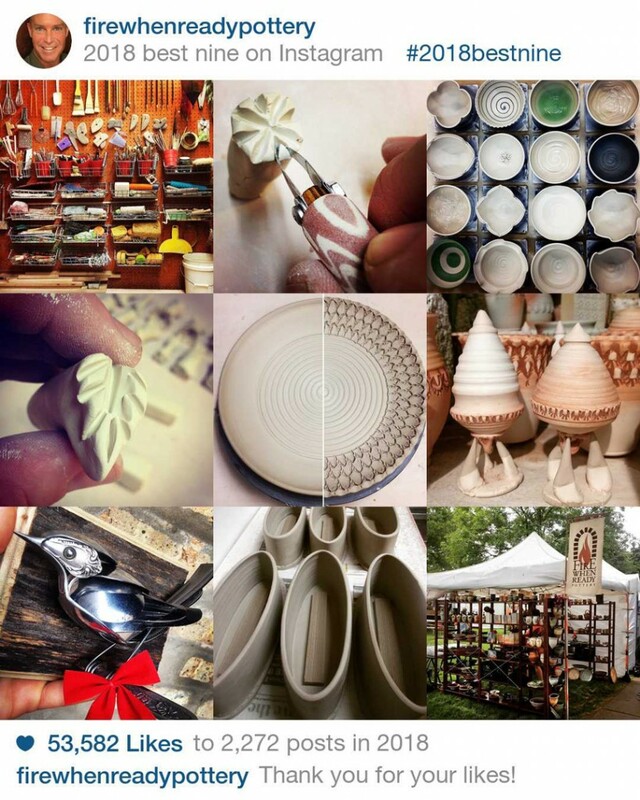 So many great potters out there sharing a LOT of information, anecdotes & stories. 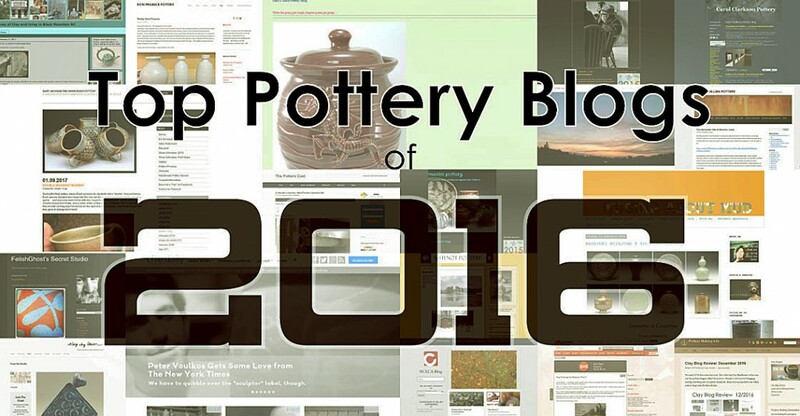 Click here to see the full list of those who made the Top Pottery Blogs of 2016. Beating me out this year, Carole Epps and her “Musing About Mud” blog. An amazing amount of ceramic content & images. 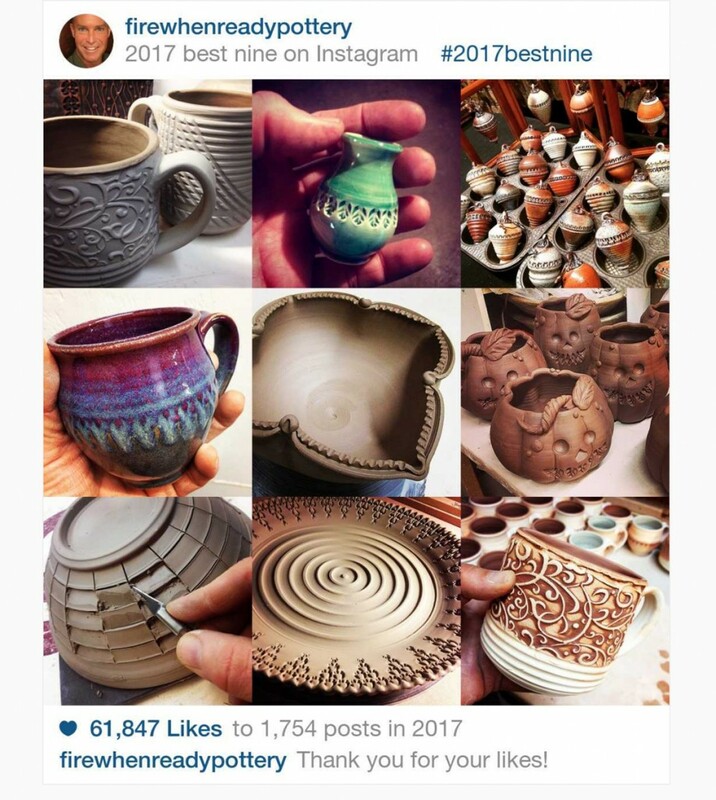 She invites people to submit content to her blog so there’s a wide range of photos, videos, Call For Entries, and ceramic work from all over the world. Huge congrats to Carole… and thanks for sharing SO many beautiful things! Don’t forget that it’s not JUST about blogging. Sure, the blog might have a lot more content & stories. But you can always get your “fix” on Facebook, Instagram, Pinterest and YouTube as well. Just do a “Search” for Fire When Ready Pottery. You can pretty much “find” me anywhere… and then you can “Follow” me anywhere. 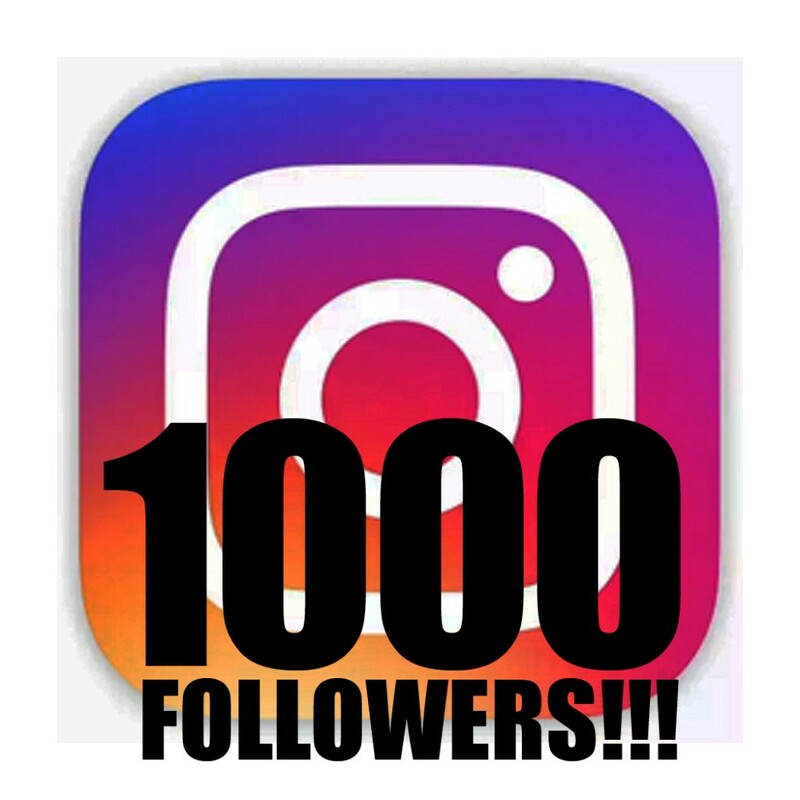 A huge thanks to all of my INSTAGRAM Followers!!! Here’s a quick recap of 2016 with my Best Nine Instagram Posts. these were the Top Nine that got the most Likes on INSTAGRAM. To double all of those numbers on INSTAGRAM. Then Like and Share as much as you can… or want to?! 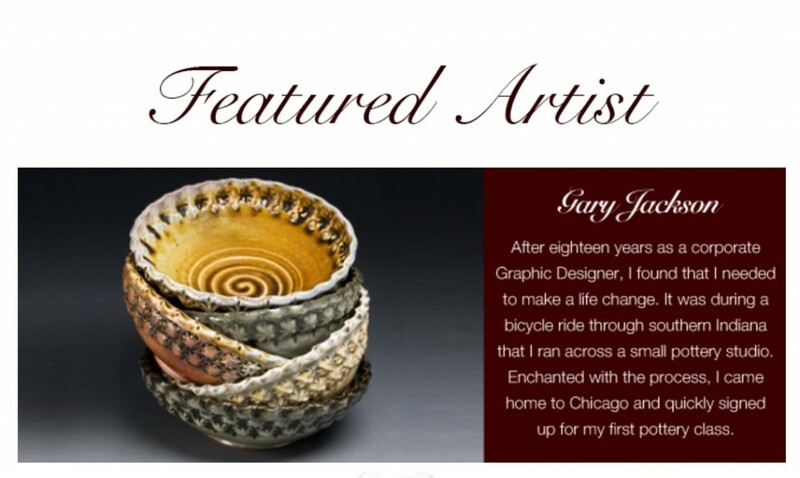 Well, look who’s the Featured Artist for October on the AFTOSA.com website… ME!!! 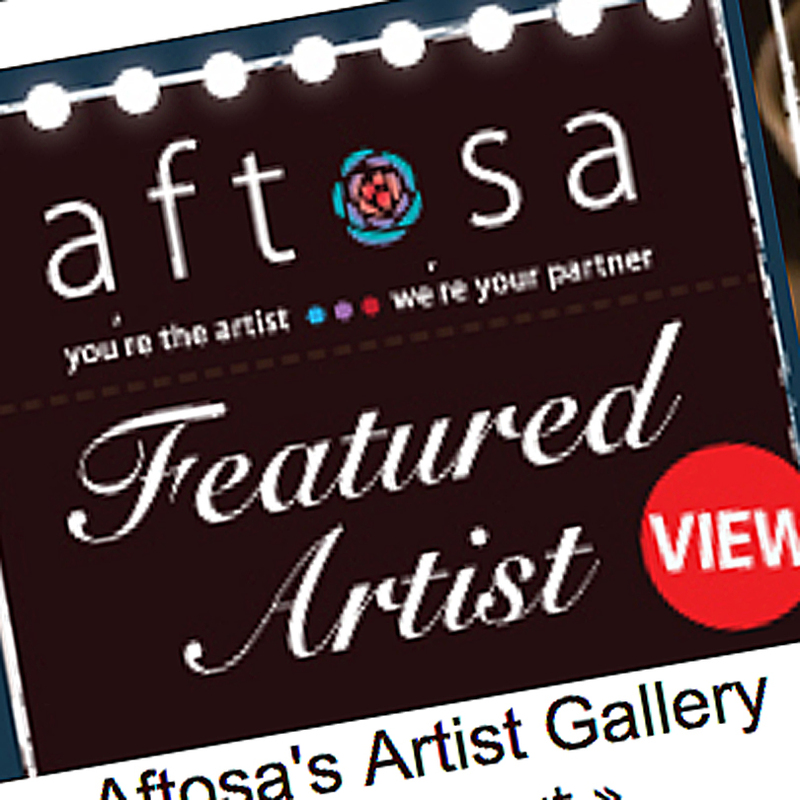 So excited to invited by the Aftosa Team to be featured this month. I’ve been purchasing ceramic tools & supplies from them for years. Check them out at aftosa.com. 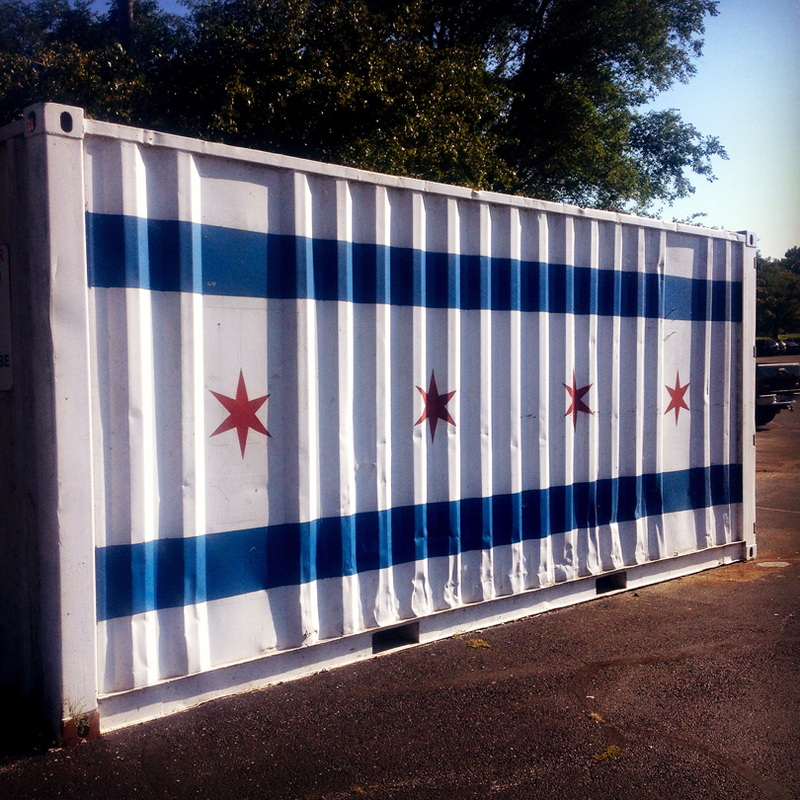 It was a beautiful day to play outside… gorgeous weather, beautiful sights. And a couple shots from my INSTAGRAM. Be sure to follow me @firewhenreadypottery. 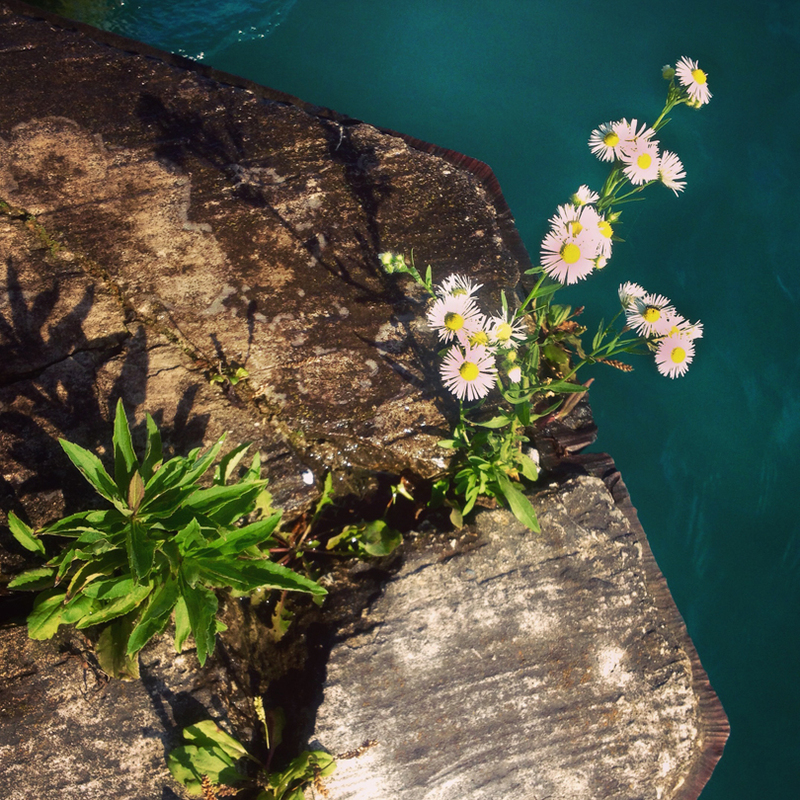 Although I will admit that I’m not so good with the “insta” part… I’m much better with the LATERGRAM!!! 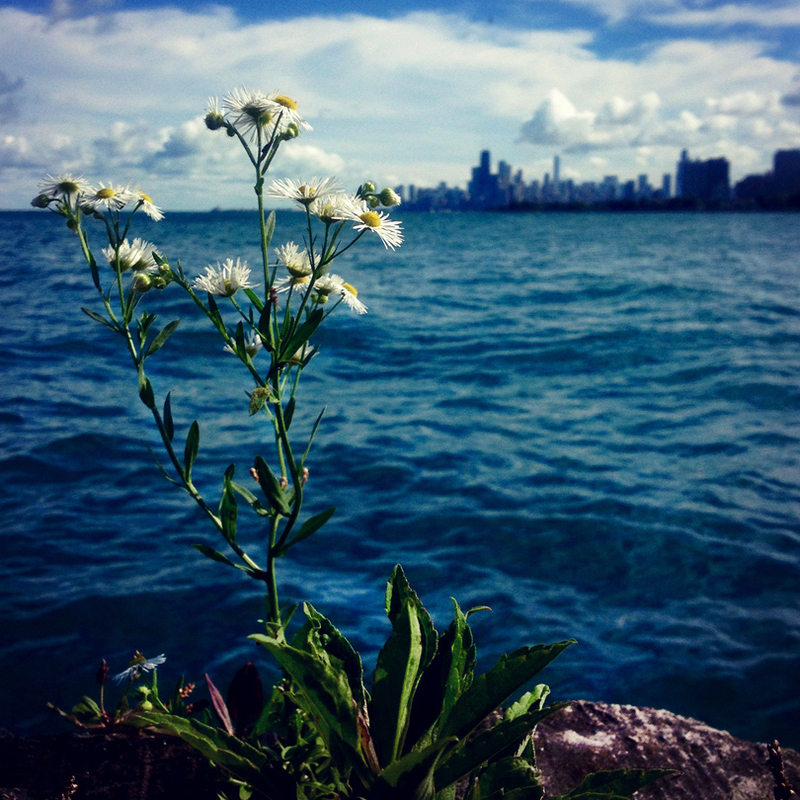 Fun photos, fun filters… and a few shots that may never make it to Facebook. Just a quick reminder… the folks at Facebook have gotten a little greedy over the years. And now, even if YOU decide that you want to follow a small business on Facebook, you may or may not be seeing their posts. Apparently Facebook now has some crazy algorithms that they use to “randomly” decide how many posts from a small business you might see. Even if you’ve requested to see them all. Facebook’s “solution” is that they expect small businesses to actually pay money to get their posts out to their followers. Let me just say… THAT is not going to happen here. So…. from what we’ve heard, the best way to work around that is for you to Comment frequently, or click the LIKE button on posts as frequently as you can. We all think that the more you click, the more you “tell the algorithms” that you want to see more Facebook posts from Fire When Ready Pottery. Click here to go to my Facebook pottery page… and then click FOLLOW.